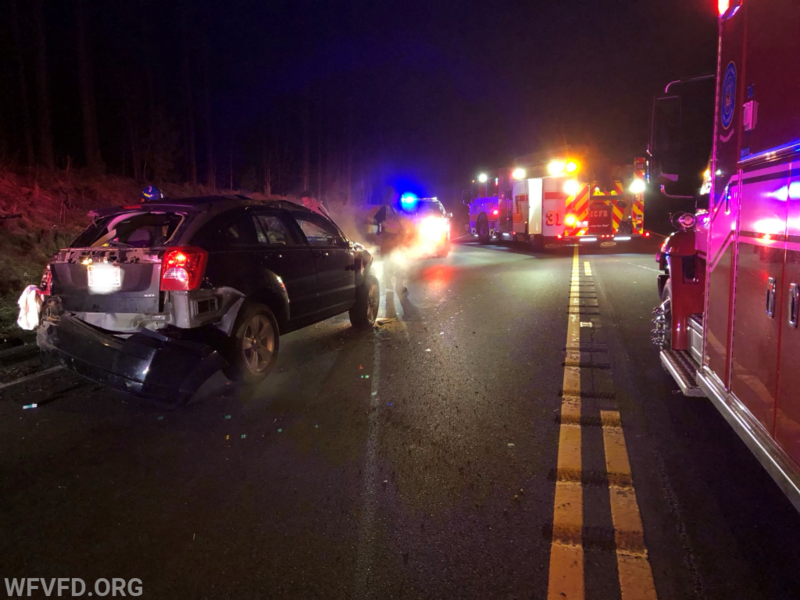 Late tonight the station was alerted for a rescue with unknown injuries on Route 32. 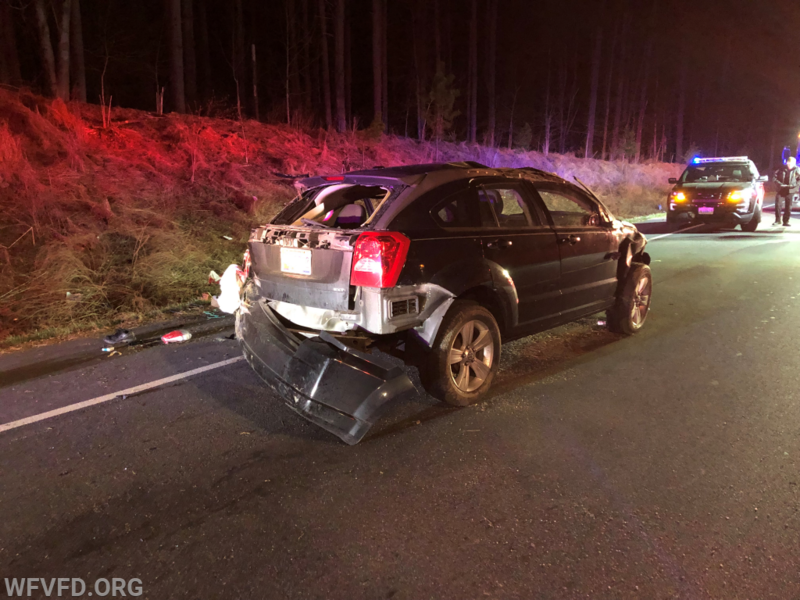 At 23:53 units responded to Route 32 near Deer Hill Road for a reported single vehicle collision. 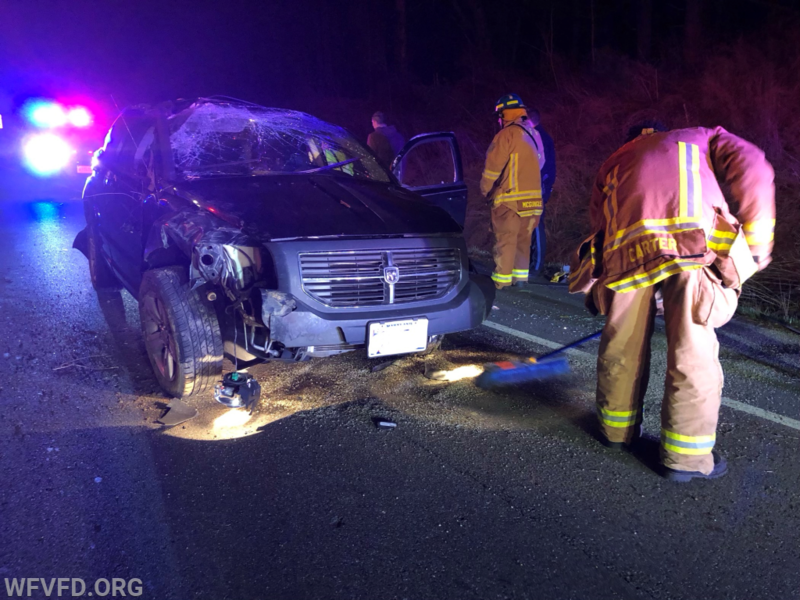 911 callers advised that a vehicle had flipped over several times and that the driver was still inside and trying to drive away. Upon arrival Engine 31 and Ambulance 36 observed a single vehicle with a single occupant inside. After evaluation the occupant refused transport and was released to County Police. Units cleared at 00:13.